Learn about the history—and pre-history—of Bagshot village. 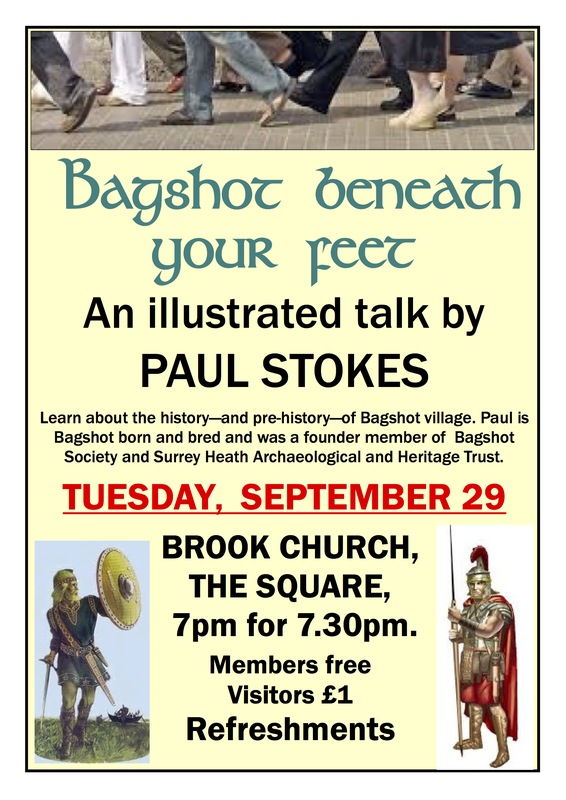 Paul is Bagshot born and bred and was a founder member of Bagshot Society and Surrey Heath Archaeological and Heritage Trust. TUESDAY, SEPTEMBER 29, 7pm for 7.30pm.